Today the UN Security Council will consider renewing the mandate of the UN Mission in South Sudan (UMMISS). 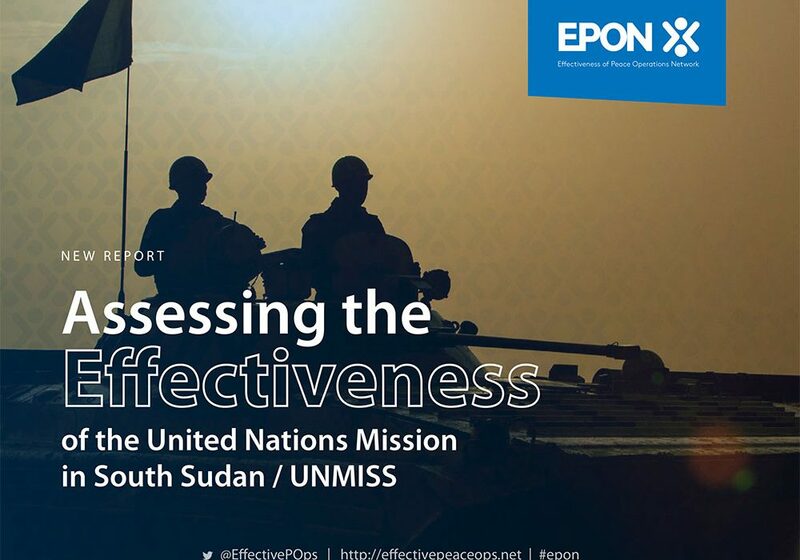 In that context, please find herewith a link to the executive summary of the EPON Report on the Effectiveness of UNMISS. The report itself will be published next week. You can also listen to a podcast interview with Adam Day, the lead author of the EPON UNMISS report here. You can sign up here to receive our quarterly EPON newsletter, as well as new reports when they are published. Best wishes from the EPON Secretariat!